Galveston’s Tremont Café located in The Tremont House, A Wyndham Grand Hotel, has launched a new bistro style menu. As part of the new menu, the café has added new “After 5” entrée selections in addition to its breakfast and afternoon dining entrees. 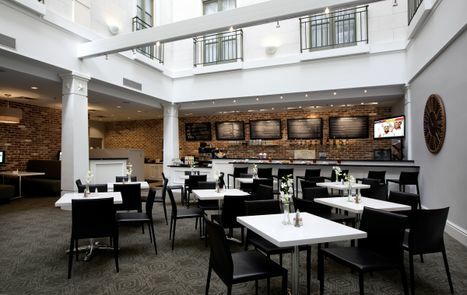 Executive Chef Jerry Helminski and Food and Beverage Manager Frank Kastelz revised the menu to offer more of a bistro feel and flavor to the café’s offerings. 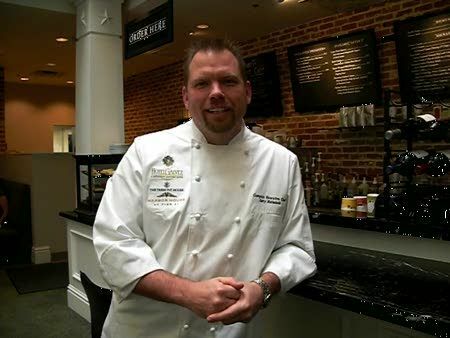 Kastelz is known for his restaurant Speculoos Patisserie which was damaged during Hurricane Ike. The new breakfast menu includes paninis, enchiladas, baked eggs Sardou, waffles with berry compote or bananas foster sauce and frittatas. In addition to freshly brewed Starbucks ® Organic Serena Blend coffee, the café offers Tazo teas, espresso, cappuccino and juices. 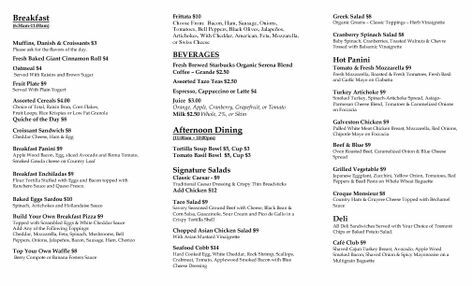 A new afternoon dining menu that is available from 11 a.m. to 10 p.m. includes taco salad, chopped Asian chicken salad, Greek salad, and cranberry spinach salad. New hot panini options include tomato and fresh mozzarella, turkey artichoke, Galveston chicken, grilled vegetable and croquet monsieur. Additional new sandwich options include a sliced beef tenderloin and chicken, tuna or egg salad croissant. All sandwiches are served with Tremont chips or baked potato salad. The café offers the option of ordering a half sandwich and soup, half sandwich and salad or half salad and soup for $9. Tremont Café has expanded its menu of hearth baked flat bread pizzas to include pear and gorgonzola, barbeque chicken, Thai chicken, wild mushroom, vegetarian with Japanese eggplant, goat cheese and sun-dried tomatoes or the option to create your own pizza. The restaurant will continue to offer its award-winning chicken pot pie and 8 layer Tuscan lasagna and Portobello Rockefeller. The new “After 5” menu offers cedar plank salmon, brick chicken, bacon wrapped barbeque shrimp, Florentine chicken calzone and shrimp scampi. Tremont Café will announce its Chef’s Choice of the Day and Pairing of the Day to its Twitter™ followers via @TremontHouse. 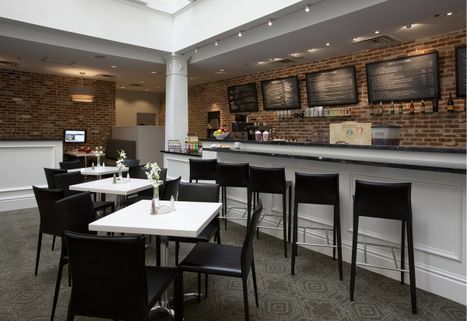 The Café, which replaced the Merchant Prince, features a 40-inch LCD television at the counter bar, 24-inch all-in-one PC/TV hybrids in its Internet booths, as well as complimentary Wi-Fi. 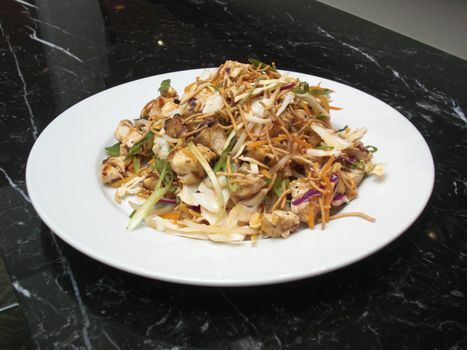 Restaurant guests also receive complimentary valet parking when dining. Tremont Café is open 6:30 am to 10 pm weekdays; 6:30 am to 11 pm on Fridays and Saturdays; and 6:30 am to 10 pm Sundays. The Tremont House, a Wyndham Grand Hotel and National Trust Historic Hotel of America, is owned by the George Mitchell family and part of Mitchell Historic Properties. For information, call (409) 763-0300, (800) WYNDHAM, or visit http://www.WyndhamTremontHouse.com. Tremont Cafe offers two all-in-one TV/PCs in booths and bar seating. Tremont Cafe offers is a gourmet cybercafe offering breakfast, lunch and dinner.